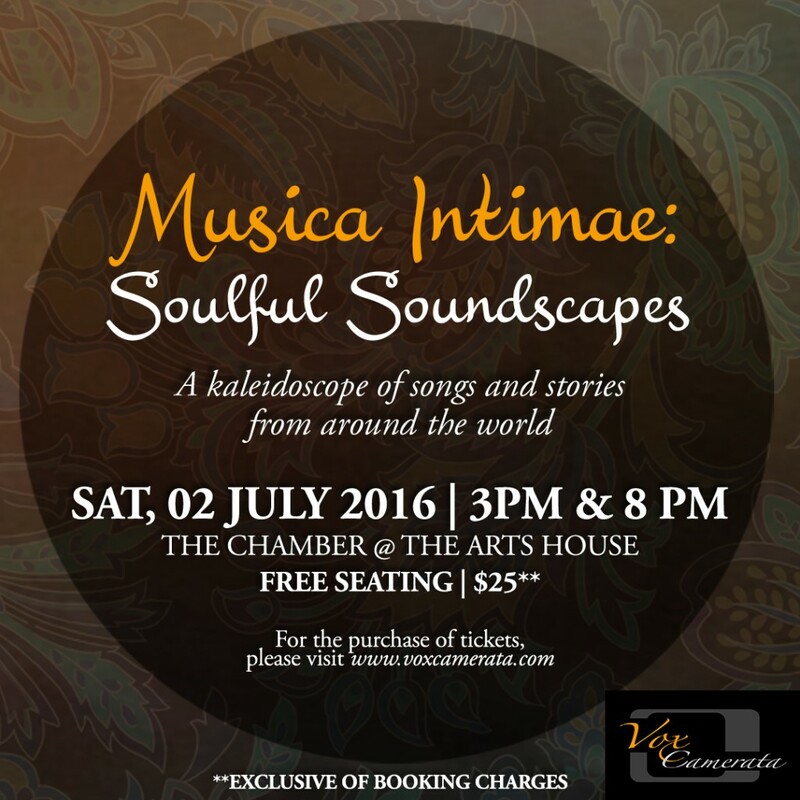 Having successfully completed its first concert tour of Australia’s Southern Queensland at the invitation of Brisbane’s St John’s Cathedral as well as a full season of concerts and performances in 2015, Vox Camerata now presents Musica Intimae 2016: Soulful Soundscapes. Under the baton of Artistic Director Shahril Salleh and featuring our new associate conductor Jolene Khoo, this concert presents a repertoire of folklore music that will lead you on a wondrous journey around the world. This is a free-seating concert. Purchase tickets at your own convenience through Bytes.com at $25. We look forward to two memorable sessions with you. See you there!